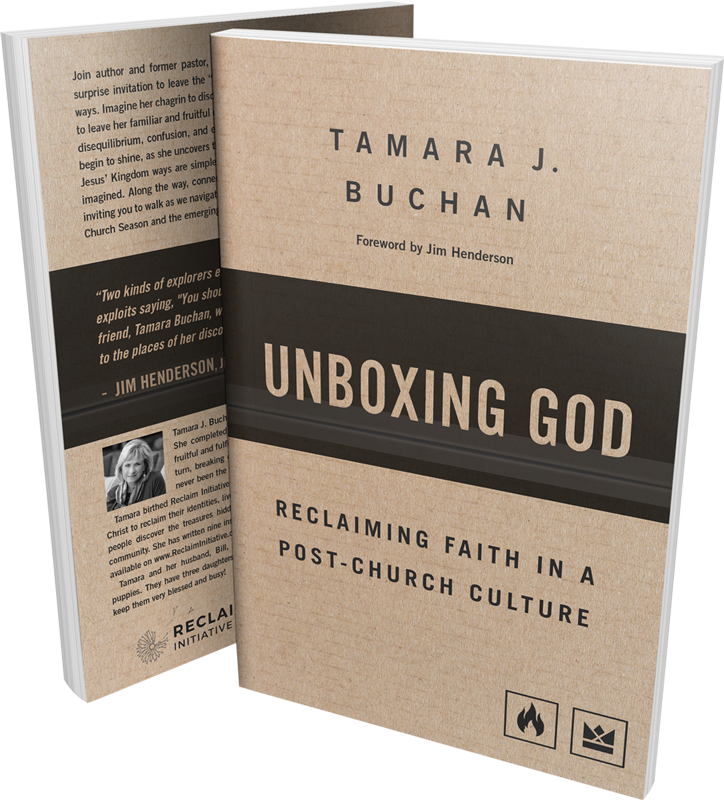 Unboxing God: Reclaiming Faith in a Post-Church Culture will speak to you if you recognize yourself in one or more of these statements! I’ve stopped going to church but still long for the community and worship. How do I find it? Join author and former pastor, Tamara J. Buchan, as she journeys through her surprise invitation to leave the "church building" and to discover Jesus' Kingdom ways. Imagine her chagrin to discover that God was showing her the door, asking her to leave her familiar and fruitful church life. Walk with her as she experiences great disequilibrium, confusion, and even grief. Come around the bend to see the light begin to shine, as she uncovers the hidden ways of the Kingdom and discovers that Jesus' Kingdom ways are simpler, lighter, and a whole lot more fun than she ever imagined. Along the way, connect with your own story and consider where God is inviting you to walk as we navigate this tremendous transition between the long held Church Season and emerging Kingdom Age. Simply sign up and you’ll have access to download the first chapter free! Thanks for your interest. Enjoy your free chapter by clicking here! Tamara J Buchan is the Founder and Director of Reclaim Initiative. Tamara completed seminary and was ordained in the Evangelical Covenant denomination. She experienced years of fruitful and fulfilling ministry experience when her path took a very unexpected turn, leading her to break down her boxes around God and her life of faith. Her life has never been the same! Tamara birthed Reclaim Initiative in 2013 to support, equip, and resource the Body of Christ to reclaim their identities, lives, and generational destinies. Her passion is helping people discover the treasures hidden within them, as they walk together in Kingdom community. She has written nine insightful books on identity and the Kingdom, available here. Tamara and her husband, Bill, live in beautiful Morrison, Colorado with their two puppies. They have three daughters, two sons-in-law, and two young grandchildren, who keep them very blessed and busy!